The subtitle of this book is An Unexpected Romance. In this memoirs-autobiography-travelogue the author twists about her real-life experiences in a time-tripping, flowery-written account, to create the semblance of a fictional Venetian romance novel. 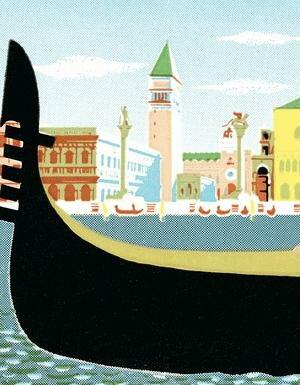 We get history, Italian culture, the problems of the immigrant, and lots of late-romance angst. 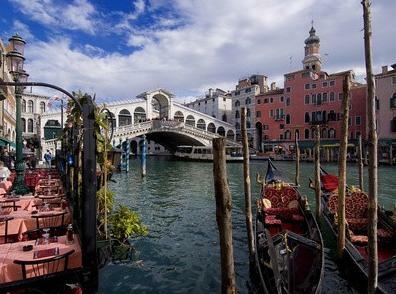 While reading A Thousand Days in Venice I found myself thinking about the humorist Mark Twain's observation that "Truth is stranger than fiction because fiction has to make sense." Not much about the author's decision to pursue a relationship with her "stranger", as she calls him, makes sense. Falling in love does not make sense. It is temporary insanity. So we should probably suspend our disbelief at the author's actions, and just accept the truth for what it is, which is a huge life gamble that may have paid off. 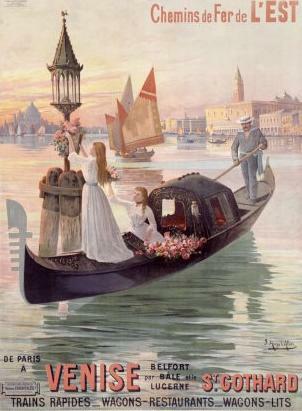 The truth is that a middle-aged woman leaves her home, her business, and her family and moves to Venice to be with a Venetian man who picked her up in a pretty creepy fashion, pursued her in an obsessive manner, and swept her off her feet with intensely romantic lines that too closely resemble lines from bad romance novels. So, yes, truth is stranger than fiction! This book was lucky to have been published before the Indie book boom. If it had come any later, it would have been drowned out by the hundreds of other love-in-Italy memoirs, most with bad endings. As it is, the book benefits from a big publisher's marketing clout and savvy. Many people have author-signed copies of this books, and have seen the author on her book tours. 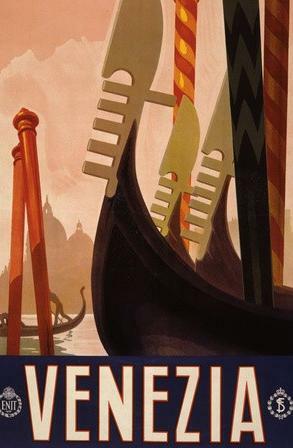 The book includes as back material an article by the author on how to enjoy Venice as a tourist, and lots of reading group questions and topics for discussion. The author is a skilled writer. She uses the present tense to keep the story immediate for the reader. Her first person account shows her baroque character to perfection. Her prose is baroque and poetic, sometimes to the point of incomprehension. I suspect this was intentional. The author wanted to minimize the criticism of her actions, and to protect innocents on the periphery of her story. I respect this. Life is this conto, account...an unknown quantity of days from which one is permitted to withdraw only one precious one of them at a time. No deposits accepted. So... live your life like each day is your last. Take chances. Embrace true love. Astonishing what a man bearing tenderness can do to open a heart. Loving Fernando is like a single, sharp shake of the stones that lets me read all the patterns that once baffled and sometimes tortured me. Too often it is we who won't let life be simple. ...I am in love for the first time in my life. I immediately felt sorry for every previous man who had shared her life! 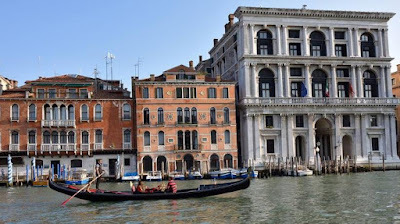 I am more realist than romantic, so when I read memoirs by people living in Italy, knowing what I do about how difficult it is to make a living in Italy, I immediately suspect that the book I'm reading is the manner in which this person is hoping to finance their life in Italy. That may have been the case for this author. The author writes this book seven years after the events, and three houses later than the one described in the book. The couple now have a gastro-tour business in Italy, based in Orvieto, far from Venice (she is a chef). The business no doubt benefits from her name-recognition from this and other books. 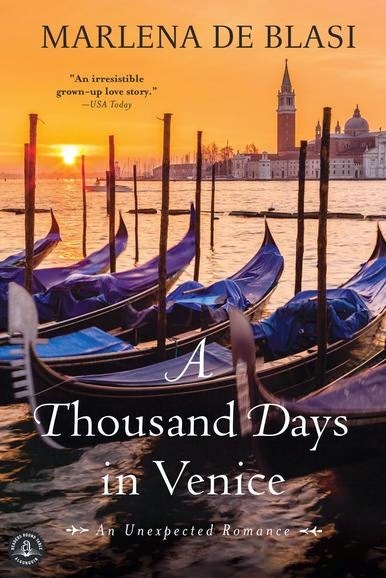 A Thousand Days in Venice was published by Random House and Ballantine Books, but is now in reprint with another publisher. You can finds lots of second-hand copies for sale, and the reprint offers the new book in several formats.